CXPR combines traditional PR offerings with social media customer contact. 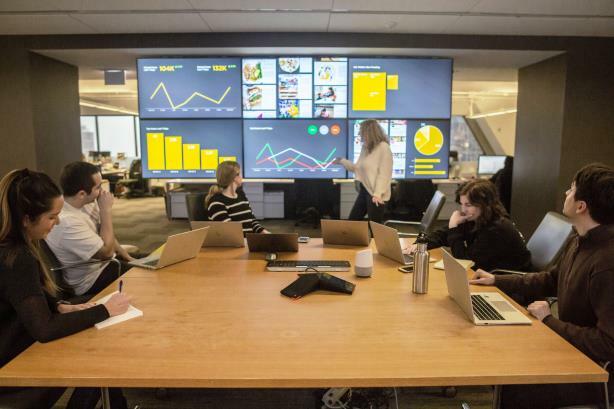 CHICAGO: Golin has rolled out an offering combining AI and traditional PR tactics with social media customer service functions, the agency said this week. Golin co-CEO Gary Rudnick said it is difficult to say how many Golin staffers are dedicated to the platform, known as CXPR, because it straddles the agency’s disciplines. He added that two of the firm’s largest clients are using the practice, but declined to disclose their identities. The suite of services has been in development for the last two years, said Jeff Beringer, Golin’s global practice leader for digital. He said CXPR uses AI to listen to social media conversations with customers that many times are managed by in-house or contracted customer service representatives. The AI can route an issue to the correct person but also give the company an opportunity to flag interactions that could potentially affect the client’s reputation. AI can also spot stories of positive customer interaction that companies can amplify via other channels. Beringer also said the service offers clients data on their interactions with customers via social media. "We are amassing huge treasure troves of data about company interactions, and the information we can give back not only improves comms and marketing but also offers insight on how they are running their businesses," he said.